Our app requires us to allow users to created their own hierarchical groups, then associate documents with those groups. 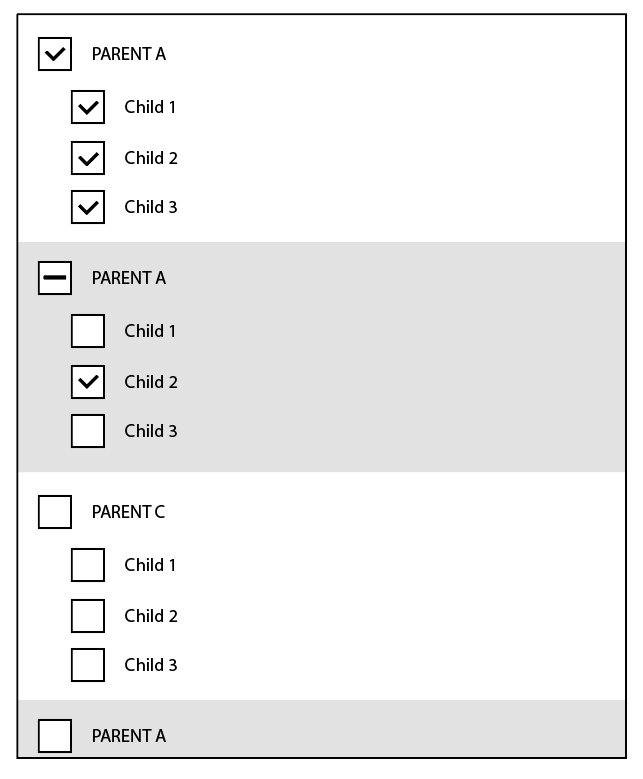 In my opinion the biggest usability concern is that users also need to be able to select a parent node without necessarily selecting the child nodes. Here's an example. You've created a group, "United States" added a bunch of US employees. 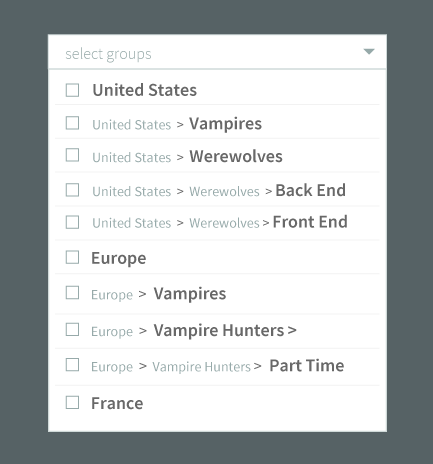 You've now created a subgroup for "Vampires." You want to upload a sunlight policy for your US employees, but do NOT want it associated with the "vampires." Below is the best solution we have so far, but it seems inelegant. I'm not sure that if a user was uploading something they wanted to go to ALL US employees (vampires included) they'd know they had to select all United States options. Thanks so much for your UX guru wisdom. This is a well established pattern and will provide all of the use cases you mentioned and it also would give the bulk selection benefits too! You can improve the look and feel to further seperate the different sections. Not the answer you're looking for? Browse other questions tagged dropdown multi-selection hierarchy nested-tables or ask your own question.